#297. 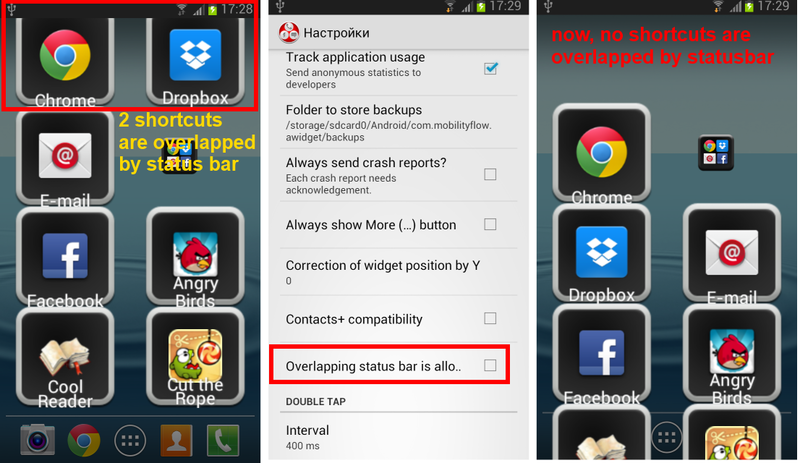 New setting parameter: Overlapping status bar is allowed (true by default). If it's enabled, then table of shorctucts can be partly overlapped by notification bar. #301. 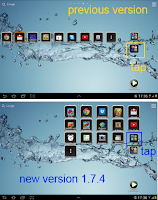 Long tap on widget icon in opened widget opens menu. 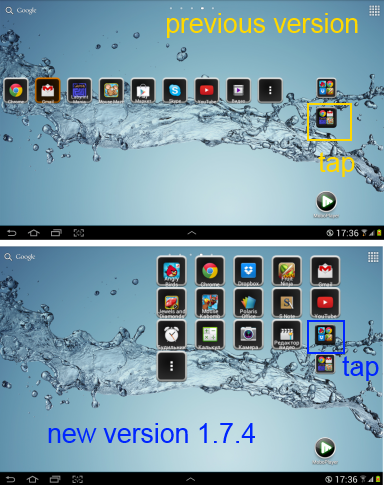 If more button is not available, just open widget and make long tap on widget icon to get access to menu. #296. if you used table or compact table layout and the widget was located on right side of the screen, shortcuts were displayed on left side of the screen. Now shorcuts are displayed more compacted around the widget. #302. Menu item "Open contact" wasn't visible in context menu of subcontact. Arabic localization is significantly enchanced. is there a way in a 'favorites' widget to change the order of the favorite? It defaults to alphabetical and I would like to change the order. Open Widget Properties, scroll to tab "List Items". You are able to change items position using drag&drop. You should tap on left icon of the item and then move the item in tapped state to required position.